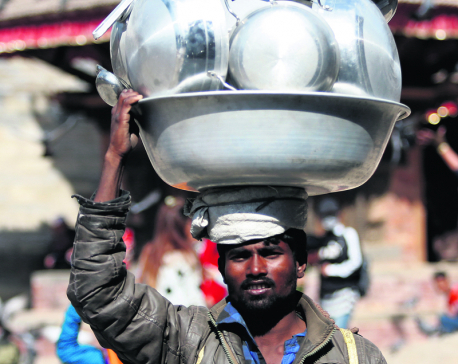 KATHMANDU, Jan 2: As the mid-July deadline to increase paid-up capital is drawing closer, bank and financial institutions (BFIs) are intensifying efforts to meet the new requirements. Most commercial banks are prioritizing rights issues and distributing dividend-bonus shares from profits to help them meet the requirement. Reducing the number of BFIs was also on Nepal Rastra Bank’s (NRB’s) when it announced the multiple-fold hike in paid-up capital requirement in July 2015. But, observers say, it now looks unlikely that the number of BFIs will come down significantly as most commercial banks are planning to raise paid-up capital in an ‘organic way’. “One of the central bank’s objectives for raising the paid-up capital requirement was to cut down BFI numbers. But, many commercial banks are raising their paid-up capitals by themselves rather than looking for mergers or acquisitions. So, there will not be much change in the number of BFIs from the existing number,” a banker said. “The strategy of most of the commercial banks in the country has been to seek capital from their own shareholders through rights issues. If there’s still a shortfall in capital, their next move is to acquire a development bank or finance company,” the banker added. According to data compiled by NRB, 120 BFIs (including ‘D’ class) pursued mergers and acquisitions. Out of that group, the licenses of 79 BFIs were revoked, thereby forming 41 BFIs. Unveiling its monetary policy for Fiscal Year 2015/16 in July 2015, NRB had instructed BFIs to raise their paid-up capitals and meet the new requirement within two years, i.e. by mid-July 2017. 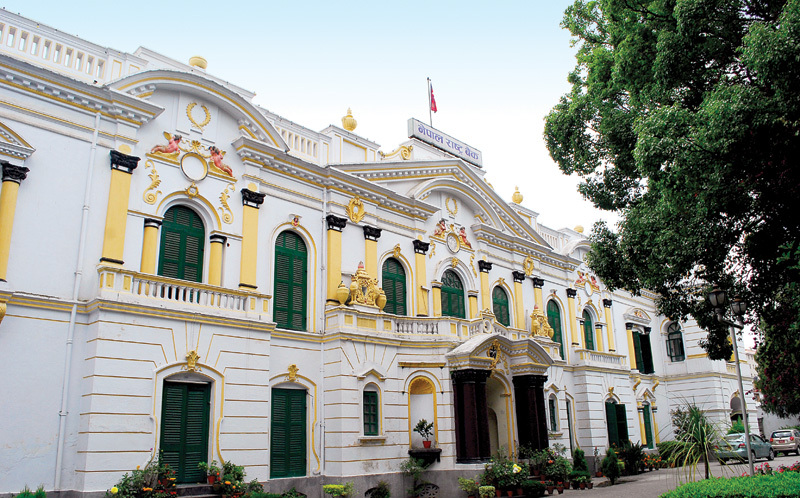 NRB told commercial banks to increase paid-up capital by four-fold and have Rs 8 billion. The central bank also increased paid-up capital requirements for national-level development banks to Rs 2.5 billion while development banks with working areas of four to ten districts were told to raise their paid-up capitals to Rs 1.2 billion. Similarly, development banks with working areas in one to three districts have to increase their capital base to Rs 400 million. National-level finance companies and other finance companies with working areas of four to ten districts have to increase their capital base to Rs 800 million while finance companies with working areas of one to three districts will have to raise their paid-up capital to Rs 400 million. After three years of liquidity surplus in the banking system, the interest rates of BFIs have started to rise since mid-2016. The excess liquidity in the banking system had compressed interest rates to ‘ultra-low’ levels for nearly three years. Interest rates started to rise from mid-2016 owing to the government maintaining a high surplus of funds in its account due to low capital expenditures, a rise in the demand for credit with an improvement in the political environment, and a slowdown in remittances inflow. While many BFIs are already luring depositors with interest rates of 10 percent on various fixed-deposit accounts, they are yet to raise their interest rates on loans and advances. Bankers are bullish about the prospects of a rise in interest rates in 2017. They say a demand for credit is likely to increase in 2017 as many investors would be either expanding or starting new projects after being in a ‘wait-and-watch-mode’ for nearly three years. 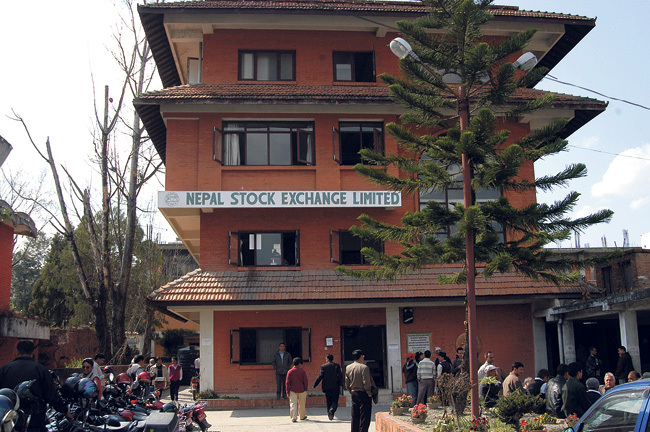 The Nepal Stock Exchange (Nepse) benchmark index climbed to a record high of 1,881.45 points on July 27, 2016. However, the stock market then started seeing correction from those levels. According to stock analysts, the market continued on a bull run in 2016 as many investors had less investment opportunities where they could have got the type of returns they did in bullish stocks. Even the general savers in banks were tempted to pour money into stocks as deposit rates until mid-2016 were below 5 percent, according to brokers. The lure of stock dividends in the wake of a rush by BFIs and insurance companies to raise their paid-up capital fuelled the rise in stock prices. “Excess liquidity in the banking system drove stock prices up in the first half of 2016. The market was bullish and investors did not have any other investment opportunity where they saw more lucrative returns,” Shreeram Pandey, a stock investor, said. Stock dividends and rights issues announcements by BFIs also attracted investors to buy stocks so that they could clinch such offers. Many BFIs, who are required to raise their minimum paid-up capital by mid-July this year, are planning to arrange the capital from their existing investors rather than going for mergers and acquisitions. Similarly, insurance companies -- which had been running on very low paid-up capital, are already announcing stock and rights issues before their regulator -- Securities Board of Nepal (Sebon) -- follows NRB’s direction. Modernization initiatives by Sebon and Nepse also boosted the investor confidence. The complete adoption of a paper-less trading system with a dematerialized trading system, the crediting of bonus shares directly into shareholders’ demat accounts, a significant reduction in brokerage commissions for stock-trading, and a plan to implement the Applications Supported by Blocked Amount (ASBA) system from mid-January onwards were some of major developments in the capital and secondary markets in 2016. However, the market also went through a massive correction in the last two months of 2016 as BFIs started facing liquidity crunch. Many believe the stock market’s direction in 2017 will largely depend on the liquidity position and interest rates of BFIs. “The stock market bull-run is largely supported and sustained by a cheaper financing-facility from BFIs and by low interest rates. However, interest rates are rising and BFIs have been tightening the flow of finance to the stock market in recent weeks. The stock market is likely to feel the pinch,” Narendra Sijapati, a stock broker, said.